In my spare time–you know, all those enormous amounts of minutes that remain once I finish working all day and writing–I dance a bit of Argentine tango. I’ve travelled to Buenos Aires twice. Both times I came home loaded with shoes. The first trip, I purchased so many I had to buy another bag to bring them all home. Determined not to be parted from my beautiful new shoes, this bag became one of two pieces of carry on luggage. One enormous piece of carry on luggage. It weighed so much, I mostly pushed it through airport lines with my foot. My first trip to Argentina coincided with the new security measures in flying. And I decided to bring a bag of stilettos on an airplane. 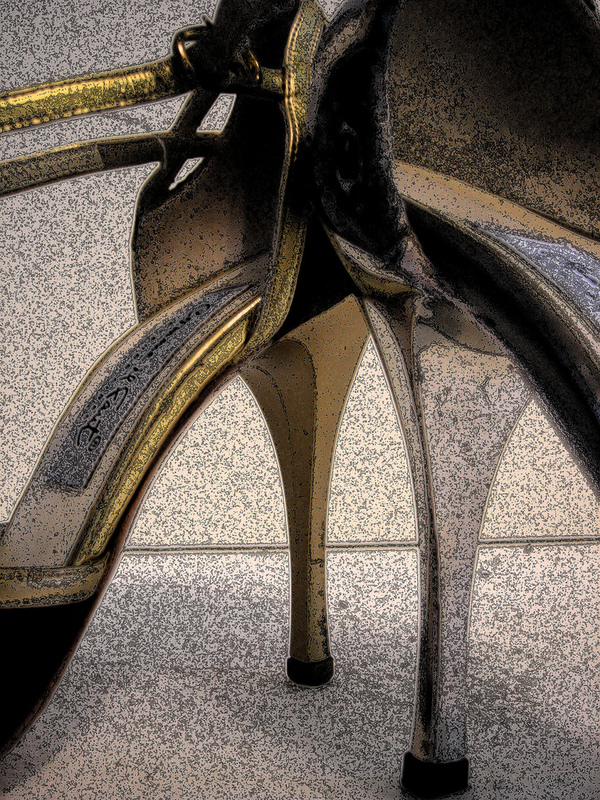 A large bag of stilettos. Don’t ask me how many. I don’t remember (or don’t want to remember) how many I bought that first time. Getting them in to my new piece of luggage took an inordinate amount of time and some incredible juggling to get everything to fit. That stuff wasn’t coming out until I got home. In the airport in Buenos Aires, I stood in line prior to getting on the plane and watched the security people open and take things out of bags. Every single bag. Groaning from more than just the weight of the stupid bag, I hefted it on to the counter prepared to miss my flight as I had to remove every item. Oh, and don’t forget, I’d have to get everything back into the bag again. And I worried that they would confiscate my beautiful shoes. Instead, the woman opened my bag, spotted the heels, laughed. Zipped the bag shut, slid it across to me with a smile. So to make your purchasing trip easier (should you decide to head to Buenos Aires and need a shoe or nine), here is a list of places to purchase the most amazing shoes you’ve ever seen. Those two beauties in the photo are the heels of a pair of Comme il Faut. OMG! Wait while I wipe the drool off my keyboard… Thank you for this beautiful journey of tango shoes. I know. When typing those up, I had the same reaction. Made me want to hop on a plane and head to Buenos Aires for a bit of shoe shopping–well and tango of course. I didn’t know that. I’ve fixed all the links. I’ve purchased shoes at a few of these places, in fact I own a pair exactly like the ones in the picture, on the left, in silver. Although I now have 7 pairs of Comme il Faute shoes, they are alas very uncomfortable to wear for the entire evening and they don’t come in suede soles for dancing. Alanis shoes however, though limited in the number of designs, are the most comfortable high heels ever and made for dancing all night! I would love to have another pair I love them so much. They are a red sandal style open toe shoe with black backs and cream embroidery. Very nice. I didn’t have any luck at Neotango as the sales clerk wouldn’t wait on me and ignored me the whole half hour that I was in the shop.